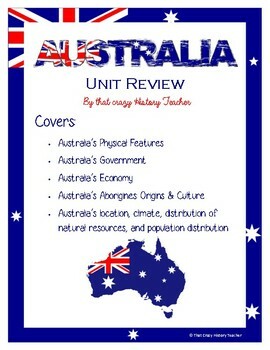 This is a great resource for a unit on Australia. It matches the Georgia Standards of Excellence for Australia. This can be used in many different ways. I use it as a station activity. I post the information cards around the classroom. Students then use the information sheets to answer questions on the provided response sheet. This could be used as a review before a test, as a refresher or as new material. Everything you need is included. SS6H4 Explain the impact of English colonization on current Aboriginal basic rights, health, literacy, and language. SS6G11 Locate selected features of Australia. a. Locate on a world and regional political-physical map: the Great Barrier Reef, Coral Sea, Uluru/Ayers Rock, Indian and Pacific Oceans, Great Dividing Range, and Great Victoria Desert. SS6G12 Explain the impact of location, climate, distribution of natural resources, and population distribution on Australia. a. Describe how Australia’s location, climate, and natural resources impact trade and affect where people live. SS6CG4 Explain forms of citizen participation in government. a. Explain citizen participation in democratic governments [i.e. the role of citizens in choosing the leaders of Australia (parliamentary democracy)]. SS6E10 Analyze different economic systems. a. Compare how traditional, command, and market economies answer the economic questions of 1-what to produce, 2-how to produce, and 3-for whom to produce. b. Explain that countries have a mixed economic system located on a continuum between pure market and pure command. 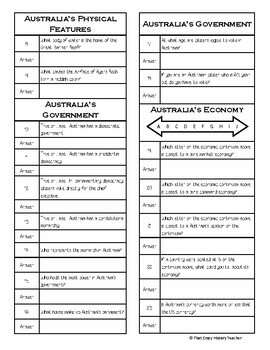 c. Describe the economic system used in Australia. 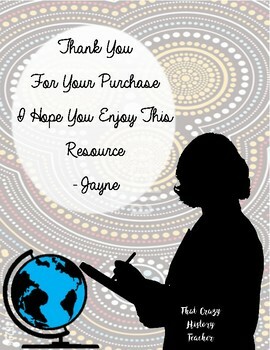 SS6E11 Give examples of how voluntary trade benefits buyers and sellers in Australia. a. Explain how specialization makes trade possible between countries. c. Explain why international trade requires a system for exchanging currency between nations. SS6E12 Describe factors that influence economic growth and examine their presence or absence in Australia. a. Evaluate how literacy rates affect the standard of living. b. Explain the relationship between investment in human capital (education and training) and gross domestic product (GDP per capita). c. Explain the relationship between investment in capital goods (factories, machinery, and technology) and gross domestic product (GDP per capita). d. Describe the role of natural resources in a country’s economy. e. Describe the role of entrepreneurship. SS6E13 Understand that a basic principle of effective personal money management is to live within one’s income. a. Understand that income is received from work and is limited. b. Understand that a budget is a tool to plan the spending and saving of income. c. Understand the reasons and benefits of saving. d. Understand the uses and costs of credit. L6-8RHSS3: Identify key steps in a text’s description of a process related to history/social studies (e.g., how a bill becomes law, how interest rates are raised or lowered). re raised or lowered). L6-8RHSS4: Determine the meaning of words and phrases as they are used in a text, including vocabulary specific to domains related to history/social studies. L6-8RHSS7: Integrate visual information (e.g., in charts, graphs, photographs, videos, or maps) with other information in print and digital texts. L6-8RHSS8: Distinguish among fact, opinion, and reasoned judgment in a text. L6-8RHSS10: By the end of grade 8, read and comprehend history/social studies texts in the grades 6–8 text complexity band independently and proficiently.